Bin Laden has not aged well! Thats actually Pete Marsh but i think the comparison is uncanny. "This image is a work of a U.S. military or Department of Defense employee, taken or made during the course of an employee's official duties. As a work of the U.S. federal government, the image is in the public domain. See the DoD copyright policy. Gee wiz, well at least we know why they have not been able to catch him, they are too busy making stupid fictitious depictions of him. Nice to see our tax dollars at work though, makes me want to pay my taxes just that much less now. 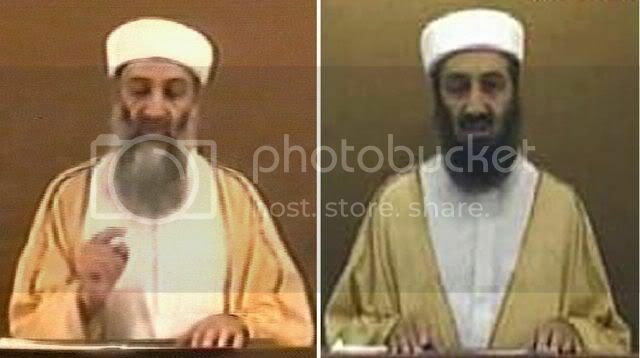 If you think you have what it takes to be the next Osama Bin Laden,send photos and/or videos to C.I.A. What did he said in this message.